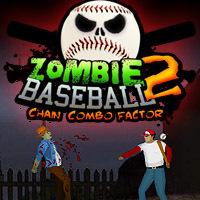 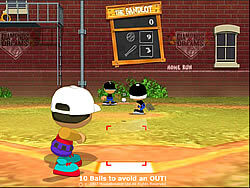 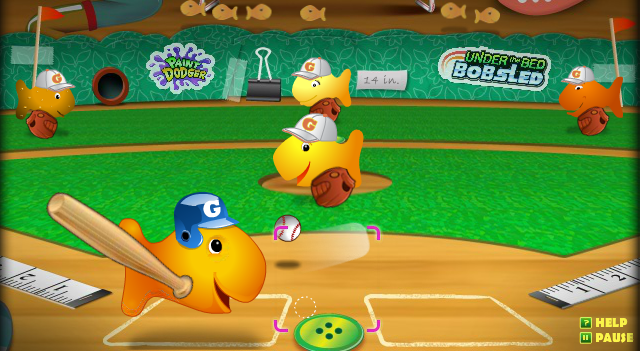 This is a nice baseball game shown in bird's-eye view, there are 5 balls thrown at you, try to hit them and get them as far as you can for making homeruns. 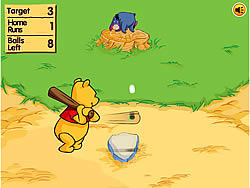 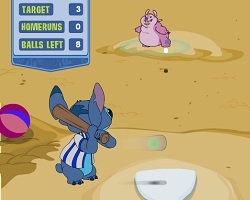 Move the mouse to move the bat, the controls are a bit silly. 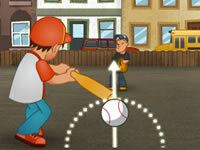 Click and hold the mouse button down when you take a swing to increase the power.